STEVEN Motlop is officially a Port Adelaide player after Geelong declined to match the Power's four-year, $2 million deal for the restricted free agent. As compensation, the Cats will receive an end of first round selection, which currently falls at pick No.19. That could prove a useful trade chip as Geelong seeks to land Gary Ablett, or potentially in a deal for Jake Stringer if the Western Bulldogs' negotiations with Essendon fall over. Motlop played 135 games for the Cats after being drafted at No.39 in 2008. 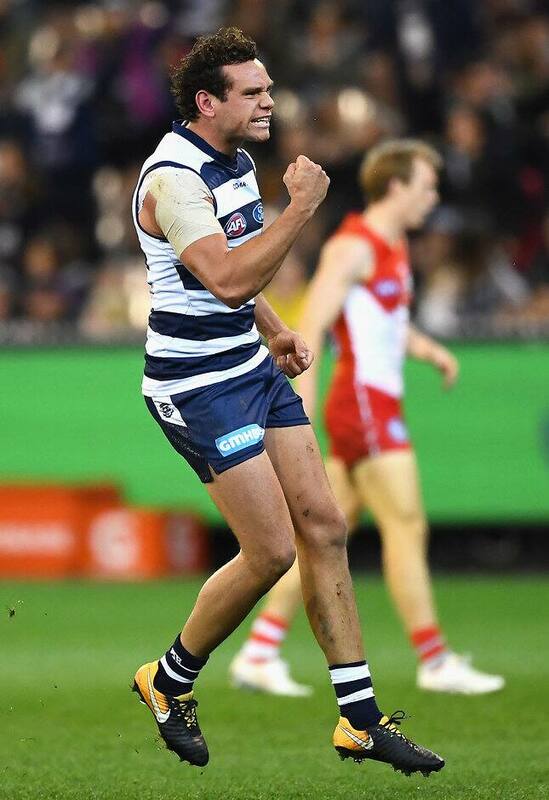 He had an inconsistent home and away campaign and finished outside the top-10 of the best and fairest but showed his worth in the finals, where he was one of Geelong's best players. The 26-year-old told portadelaidefc.com.au that Power coach Ken Hinkley made an impression. "It was a difficult decision to leave Geelong," Motlop said. "I spent nine great years there and they were fantastic for my footy and a great support for me and my family. "Having decided to leave, I was really impressed by the presentation Ken Hinkley and some of the club's other leaders made. "I already have a connection to the Power where my older brother, Daniel, played for six seasons and my cousin, Marlon, still works in the community department. "Port Adelaide is also an industry leader with its indigenous community work, which is an area that is really important to me." The move is a coup for the Power, after it added Tom Rockliff to its list on a four-year deal worth $2.6 million. Melbourne forward Jack Watts may also decide to join the club as it prepares to launch a premiership assault in 2018. Port finished fifth after the home and away season but were bundled out in the first week of finals by West Coast after Luke Shuey kicked the game-winning goal after the siren in extra time. The Power has lost Jackson Trengove to the Western Bulldogs and Jarman Impey to Hawthorn, while Matthew Lobbe, Aaron Young and Brendon Ah Chee are exploring their options. Port Adelaide list manager Jason Cripps said the club was delighted to land Motlop, who was being chased by Adelaide and Gold Coast, with Geelong also interested in retaining him. "It's a great vote of confidence in our football program, and club more generally, that Steven has chosen to join us," Cripps said. "He's a highly skilled and experienced player who we believe will make an immediate impression with our side." Geelong football manager Simon Lloyd paid tribute to Motlop. "It is always a difficult day when a long-term player departs," Lloyd said. "Steven was a very good contributor for us in his nine years at the club. He helped us reach the finals seven times and was a creative and dynamic player who was invested in our program. "We thank him for his service to Geelong and wish him well in his new journey with the Power."